This final chapter in the Future saga wraps up the series wonderfully. There's something significant about a series that goes on a wonderful path, then wanders off for a bit to try something new, only to return to form back down the road. It's like a child who develops a favorite hobby, decides to try something new, but then remembers why they loved said hobby to begin with. There's nothing wrong with a little curiosity, but you should never forget where you started. 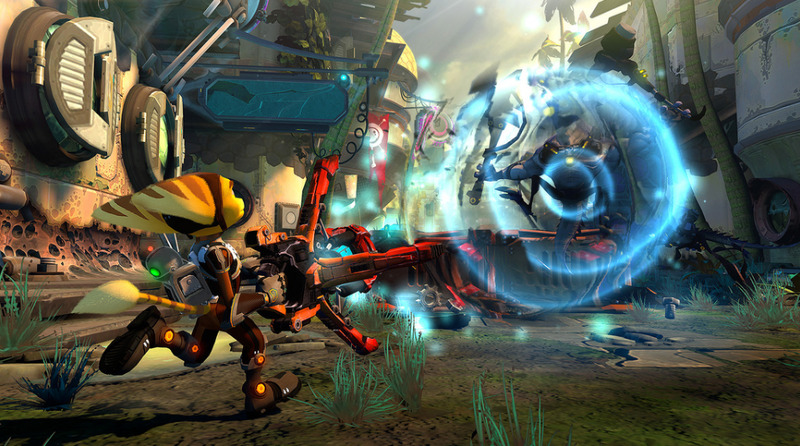 The Ratchet and Clank series did that for a while, with various entries in the startling Future series that began with Tools of Destruction, before continuing on with the downloadable Quest For Booty and the captivating A Crack In Time. After that, Insomniac tried a couple of different experiments with interesting, yet flawed, results – the multiplayer oriented All 4 One and the tactical Full Frontal Assault. At last, though, we have the completion to the Future saga that we've been waiting for over two years now, and while Into the Nexus doesn't quite have the same quality level – or length – as A Crack In Time, there's no denying that it wraps up the current story series in style. Into the Nexus brings the series back to its original form after the Full Frontal and All 4 One off-shoots, and is all the better for it. The run-and-gun action, which has been a staple in the series since its inception on the PlayStation 2, feels better than ever, thanks to tight, responsive controls and a variety of weapons that keep things interesting. Not all of them work effectively across the board, but you're bound to find favorites that you stick with throughout the campaign. In addition, some new gameplay mechanics expand the series in imaginative ways. The new gravity boots come in handy during the opening stage, especially with pivotal moments when you jump out of the way of a careening spaceship at the last possible second. It's truly an impressive moment. You can also activate jetpacks and gravity portals to make your way across long distances, and not once did we run into a moment where the controls didn't work our way – which is just how it's preferred. Clank also gets to play a part in the action, as you'll throw him into segments in the Nether realm where he has to attract a creature's attention in order to open up a new doorway. These are 2D platforming-style segments, and while they're not quite as joyous as the side-scrolling Qwark stages from previous games, they are pretty good to take a break with from all the running and gunning. Plus, some of the puzzles will take a bit of savvy to solve, as you shift gravity to open doors while avoiding being someone's mechanical snack. Though the graphics aren't as smooth as Crack In Time – this is a shorter game, after all – the environments are impressive, the animations on the characters are surprisingly personality-laden, and the cinemas are a delight. You'll see plenty of faces pop up from previous entries, including the unflappable Captain Qwark, who, like always, is completely full of himself. At this point, we wouldn't have it any other way. That leads to the voicework, which is wonderful. 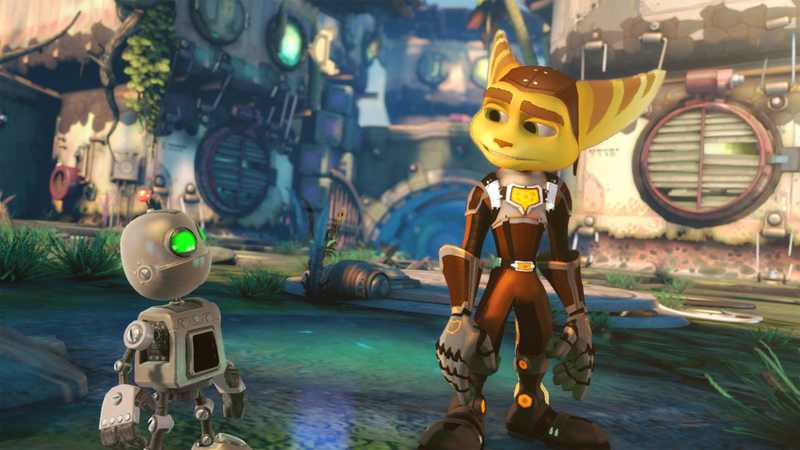 Ratchet, Clank and their pals/adversaries sound like they came out of a movie – no shock since they actually have one in production, yay! – and the cinematic score is lots of fun to listen to. The game is short – about a few hours worth – but there is some incentive at the end, with a new challenge mode that provides a higher difficulty, along with additional bolts to collect, in case you didn't unlock everything the first time around. I still sorely miss multiplayer, but at least we have the Ratchet and Clank HD Collection for that. Though some may question why Into the Nexus didn't make its way to the PlayStation 4, I think it's right at home on the PS3. After all, that's where the Future saga began with Tools of Destruction, so it's only fitting it wraps up there as well. If you're a fan of the series, chances are you won't really complain. 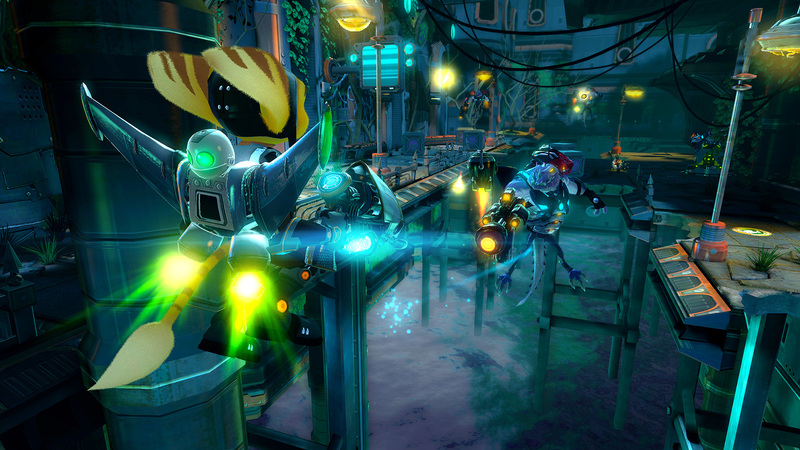 With plenty of action to go around and a price tag that won't leave too high a burn mark on your wallet ($30, with a free downloadable copy of Quest For Booty), Ratchet and Clank: Into the Nexus is a welcome return to form for the series, and an adventure that no one should miss out on – even if the next-generation is knocking at your door. Hey, Qwark's been next-generation for years, baby…or, at least, that's what he'd say. Save some time for Into the Nexus. You'll be glad you did.